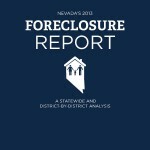 The Nevada Association of Realtors published the award winning 2013 Face of Foreclosure report for the State of Nevada. The report provides foreclosure stats, correlating maps to the data, mortgage delinquency information, and resident opinions on the state of foreclosures in Nevada. It’s a pretty great report except the data is put into congressional, senate, and assembly districts instead of county, city, etc. I might break down some of the information in the future but there’s too much to dissect right now. To view the full report click on the picture to the right or the link below. Posted in For Buyers, For Sellers, Market Update, News and tagged nevada realtor foreclosure stats report, nevada reno foreclosure report and stats, reno foreclosure news, reno foreclosure opinions nevada, reno mortgage delinquency. ← Are Short Sales Going To Get Shorter?